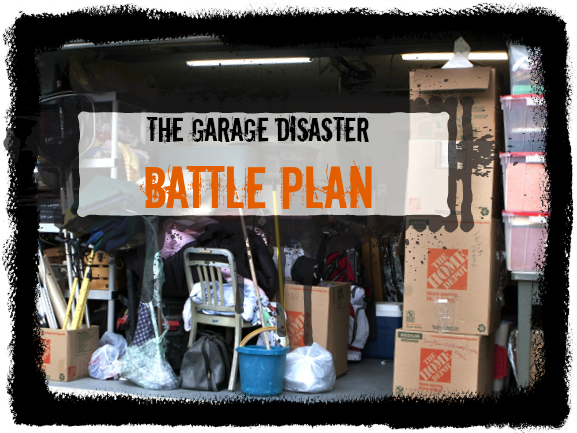 Oh, the nightmare of having a messy and cluttered garage. The garage can be like a black hole, which displaces things to an unknown location almost as soon as you put something in there. Home decorators and interior designers always recommend having a clutter drawer or cabinet, but it’s not uncommon to find that we’ve turned the entire garage space into one giant catch-all. Not that a catch-all room is the worst thing ever, but if it’s been pinging around in your brain and you’re overwhelmed by the mess and craving organization (not to mention the need to find an assortment of things you’re fairly sure you stored in there at some point), take heart. Here are some ideas for busting the buildup. It will get rid of things you no longer want or need, giving you space in which to get started on making your garage a functional space, not an eyesore. It forces you to go through stuff. It doesn’t hurt that you make a little money for your trouble. Set a date for the sale so that you're sure to make it become a reality.It can be discouraging to dive into the mountain and start because if you knew where to begin, you’d have probably already done it. Thus, a deadline will keep the wheels on the project turning. Also, keep it simple. Put the stuff into three piles. To keep, to sell, and Undecided. Try to keep the undecided pile to an absolute minimum. This should just be for things you really need to evaluate more thoroughly before you make a rush decision. An example might be old video tapes that might hold either the 100th episode of The Price Is Right or your parent’s tenth wedding anniversary. One you could let go, the other you’d probably want to keep! Here’s a concept that will immediately put a smile on your dusty face; your garage has four walls and a ceiling. Using the vertical space equals instant extra square feet of storage. From there, here are our top four tips for getting that garage in ship-shape order. Label everything. If you have bins and boxes full of different things, list them all outside the box/bin. You’ll thank yourself later when you’re looking for that one wrench set. Group things in a logical manner that anyone could easily look for old photo albums in the “family” section and you know where paintbrushes might be in the “art” section. Reserve a bit of wall space for your bikes, toys and garage and garden tools. Install a peg board, add pegs and hang or shelve as much as you can. Speaking of painting, a coat of paint added to your organizing efforts can make your garage truly a part of your home rather than an attached dump and the better it looks the more motivated you and everyone will feel to maintain your new found tidiness! Additionally, do- it-yourself floor epoxy takes a little time but really isn’t that tough to do and certainly adds a lot of polish to the space. If all else fails, Pinterest is an endless repository for ideas. Good luck and good garage-ing!